This post is sponsored by BabbleBoxx.com on behalf of Bertolli®. All opinions are my own as always. 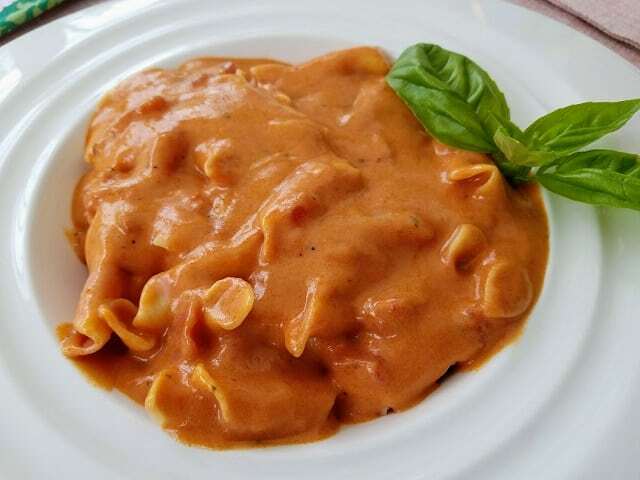 Creamy Rosa Pasta Sauce is a savory, creamy zesty pasta sauce, delicious over noodles or zoodles. This year I am spending Valentine’s Day at the beach, poolside. Just a light breeze coming off of the ocean, a glass of Rose Wine, candlelight, romantic music playing in the background. How romantic is that? Hubs and I decided to keep it simple and not fight the crowds. 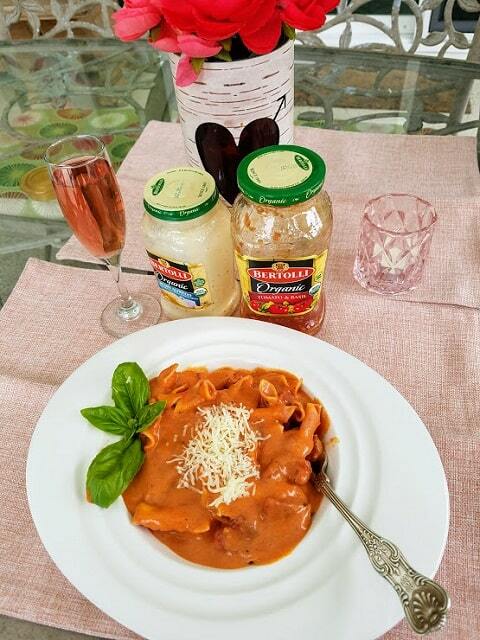 I created an intimate and romantic Italian meal for my sweetheart with Bertolli® Organic Sauces. 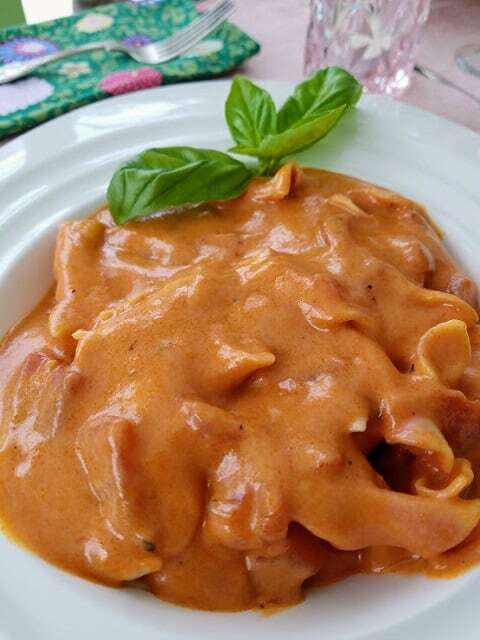 This creamy Rosa Pasta Sauce is zesty and delicious comfort food served over festive Valentine Garganelli pasta. 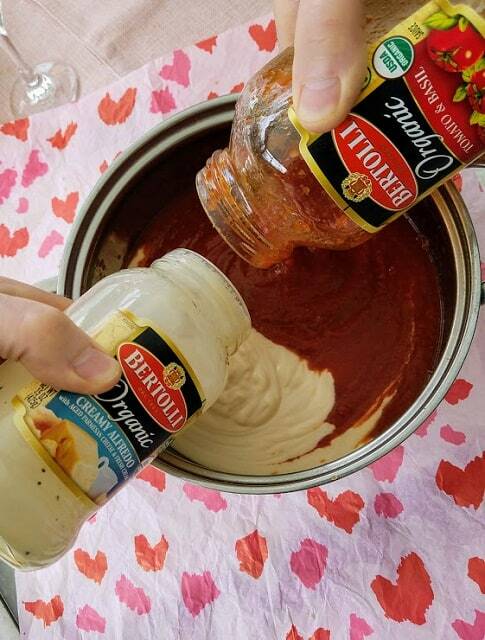 Mixing Bertolli® Organic Traditional Tomato & Basil Sauce together with Bertolli® Organic Creamy Alfredo Sauce makes for a simple dinner recipe with lots of flavor and perfect for a delicious Valentine’s Day dinner. 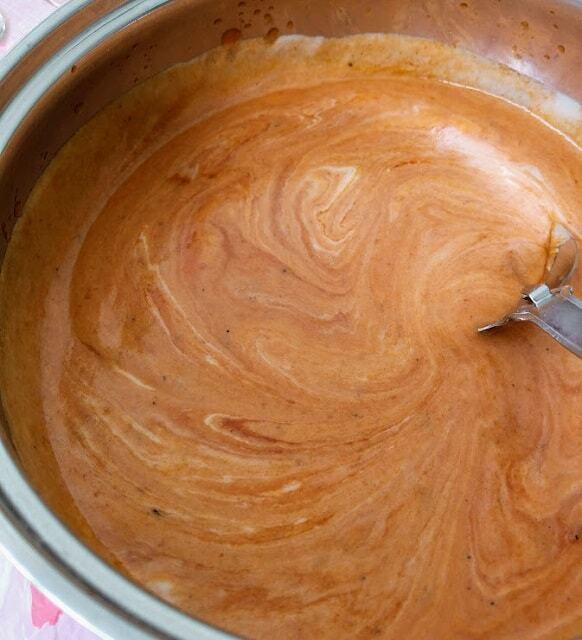 This Rosa sauce is incredible! 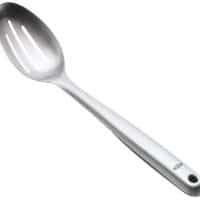 You can really taste the fresh, high-quality ingredients in every bite, no extra fluff needed. 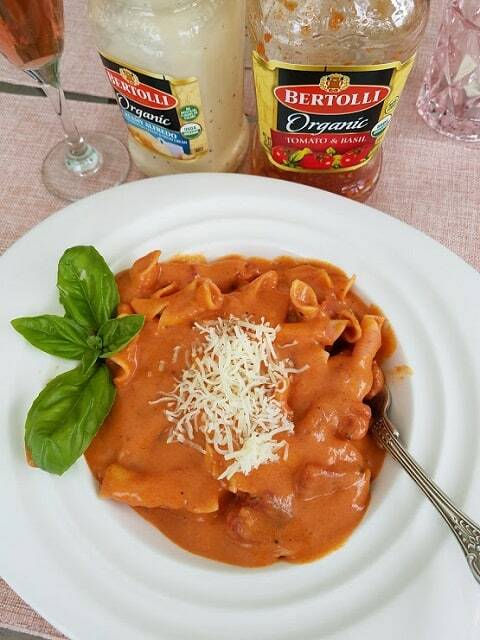 Bertolli® Organic Traditional Tomato & Basil Sauce is a USDA Organic Product made with non-GMO ingredients. 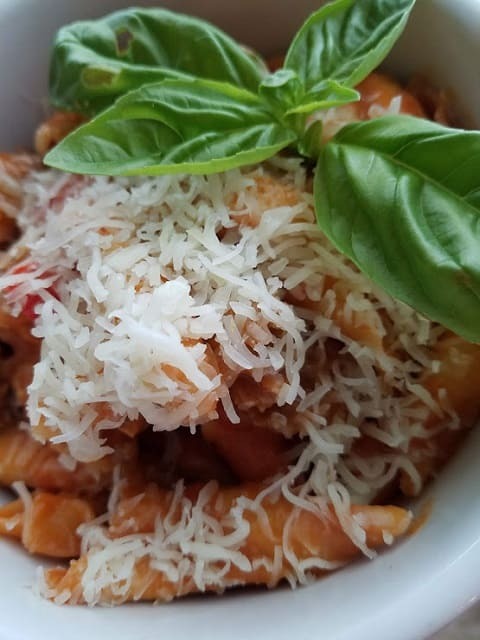 An organic pasta sauce made with the finest organic ingredients, like plump tomatoes, extra virgin olive oil and Romano cheese. 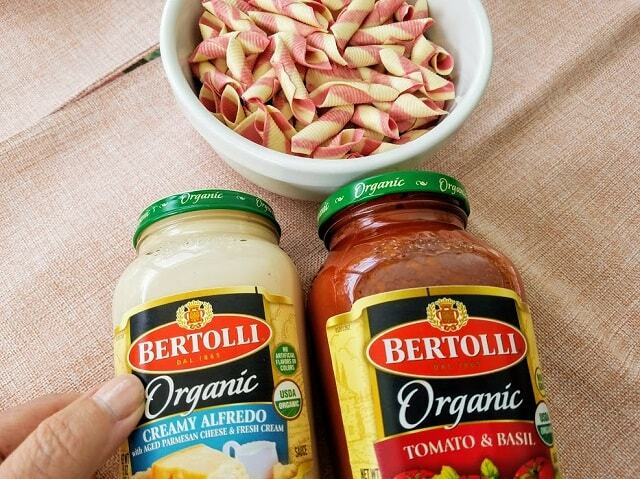 Bertolli® Organic Creamy Alfredo Sauce is a USDA Organic Product made with non-GMO ingredients. Made with organic ingredients, like fresh cream, whole milk, real butter, and aged Parmesan and Romano cheeses, this Alfredo sauce brings rich, authentic flavor to your table. 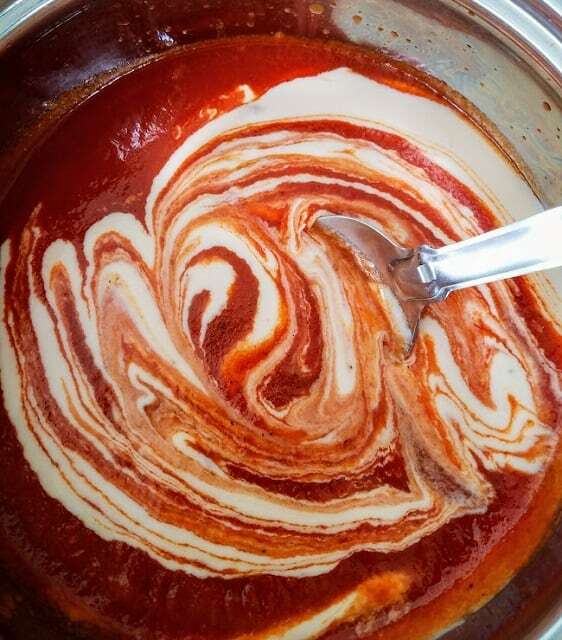 Add Marinara and Alfredo sauces to a large pot and heat on medium to create a Rosa sauce. When it begins to bubble, reduce heat to low and simmer, stirring occasionally. Bring water to boil and prepare Garganelli according to package directions, cooking JUST to al dente. 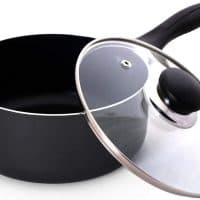 Drain pasta and rinse immediately in cold water to prevent further cooking. Set aside. 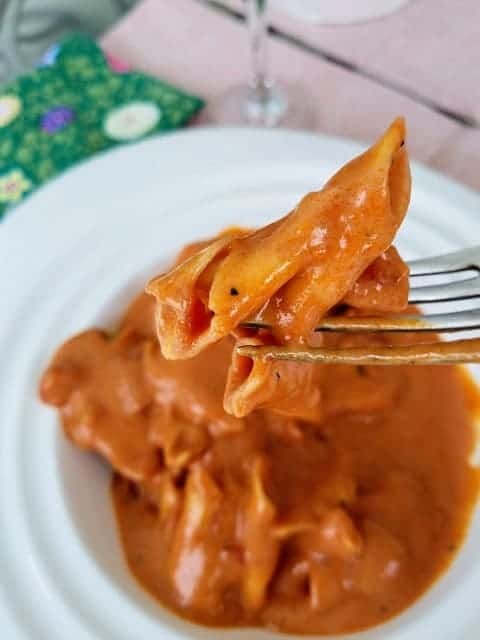 Spoon sauce over cooked al dente Striped Garganelli Pasta. This simple and delicious meal can be served with grated Mozzarella Cheese and fresh Basil leaves. An easy, delicious, savory and romantic meal for Valentine’s day dinner! Happy Valentine’s Day from Mooreorlesscooking.com! 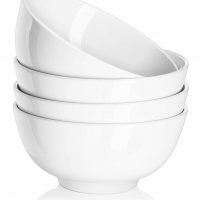 Serve with a tossed salad and garlic toast. This looks so good and delicious! Thanks for sharing ♥️ ♥️ By any chance you are interested on doing collaborations, you can check out the collaborations portal of Phlanx.com and connect with amazing brands!